Jonny Jordan is a Patent Agent in the firm's Intellectual Property Group. Jonny focuses his practice as a Patent Agent on preparing and prosecuting domestic and foreign patent applications, and conducting analyses regarding patentability. Jonny's core technical experience is in the fields of mechanical and electrical engineering. Prior to his career as a Patent Agent, Jonny worked as an Engineer at Caterpillar, Inc. in the areas of diesel and natural gas engine development. 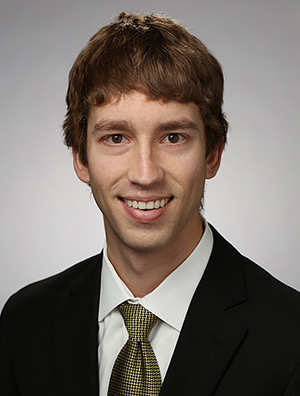 As an Engineer at Caterpillar, Inc., Jonny worked on developing performance and emissions calibrations for a variety of engine applications including: the oil and gas industry, the mining industry, and electrical power generation. Jonny also worked as a graduate researcher in the Engine Research Center at the University of Wisconsin. His thesis work involved development and testing of an optical based diagnostic system used to measure temperature and velocity simultaneously in combusting flows.